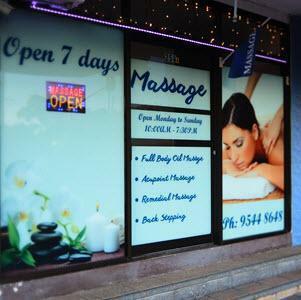 Nestled towards the south end of Sylvania Heights shops is this classic Chinese massage therapy & relaxation centre. 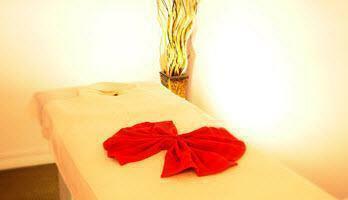 With parking at the door and around the corner in Holt Road, you'll find the best in skilled Asian masseuses. Clean bathroom facilities available. Directions: Located on the eastern side of the Highway, towards the south end of the shops at Sylvania Heights. Rear entrance available - access via Holt Street, look for the Massage sign over the back door. Specialty: Masseuses skilled in therapeutic and relaxation techniques including Full Body Oil Massage, Back Stepping and Acupoint Massage. Parking: Available at door and in Holt Street to the south. Public Transport: Bus stop adjacent in both directions. Premises Standard neat and tidy suburban clinic. Bathroom facilities available. Call (02) 9544 8648 Now! Very clean, nice atmosphere, great people.....Massage felt great!